Marvel Studios’ presents “Captain Marvel,” an all-new adventure from a previously unseen period in the history of the Marvel Cinematic Universe that introduces the MCU’s first stand-alone, female-franchise title character—Carol Danvers aka Captain Marvel. Acknowledged as Marvel’s mightiest Super Hero, Captain Marvel is touted to begin 2019 with a bang and is undoubtedly one of the most awaited films of this year. Brie Larson, who has won an Oscar, followed the epic strength training routine in preparation for the role. She even did actual flight training which is was quite intense and despite falling sick, Brie continued to train! Here are some interesting facts you didn’t know about Captain Marvel: THE MOST POWERFUL SUPERHERO! 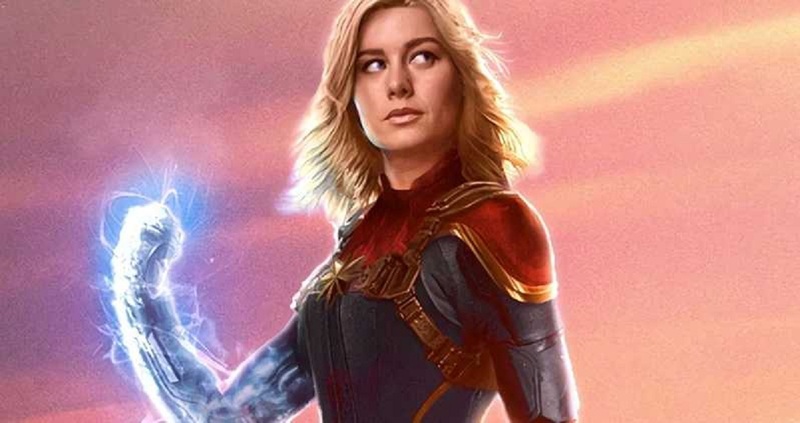 “Captain Marvel” features the first stand-alone, female-franchise, title character in the Marvel Cinematic Universe. Anna Boden, who directs “Captain Marvel” with her longtime directing partner Ryan Fleck, is the first female director in the Marvel Cinematic Universe.According to the president of Marvel Studios, Kevin Feige, she will be the most powerful superhero in the Marvel Cinematic Universe.Carol Danvers has the maximum number of powers and abilities. Before she gained her superpowers, she was already an ace pilot and was an impressive military officer. Her combat skills and piloting abilities were only enhanced by her superpowers, which included super strength and flight, along with the ability to reach a velocity exceeding the speed of sound. Additionally, Danvers has psychic powers and impressive energy absorption/projection abilities, skills that enhance her strength and durability while allowing her to create powerful energy blasts. Brie Larson took training for the role of Captain Marvel very seriously. For five days a week she did two to four hours of training, which was a combination of boxing, kick-boxing, Judo, wrestling and Jiu-Jitsu. The actress also worked her way to lifting over 225 pounds in deadlifts, 400-pound hip thrusts and even pulling a jeep down the road—a tremendous achievement for an actress who had never done much strength training! Brie Larson, who plays Carol Danvers/Captain Marvel visited Nellis Air Force Base in Las Vegas for some once-in-a-lifetime training and experiences in an F-16 fighter jet.Brie Larson also was able to meet and spend time with Brigadier General Jeannie Marie Leavitt, who became the United States Air Force’s first female fighter pilot in 1993 and was the first woman to command a USAF combat fighter wing.